Have you decided to embark on the adventure of self-entrepreneurship? This is a big decision that will allow you to carry out a personal project that you have had in a corner of your head for several years. But you also need to be well prepared because the procedures and regulations require you to be rigorous. That's why there are many software products on the market that are adapted to your needs. But what are your needs? This is a question that must be answered because not all auto-entrepreneurs will have the same needs. Logitheque offers you a selection of 5 software programs that will meet most of your expectations. Some of them will overlap in terms of functionality, so it is important to find out about the specificities of each one or even try them all before you decide. It is safe to say that any auto-entrepreneur will need to edit an invoice or manage their customer base. And that's precisely what Instant-Gestion does, but not only. Thanks to its easy-to-understand interface, this tool will quickly become your main software. You can create invoices from pre-registered templates, manage your customer portfolio or learn more about the different contribution rates. 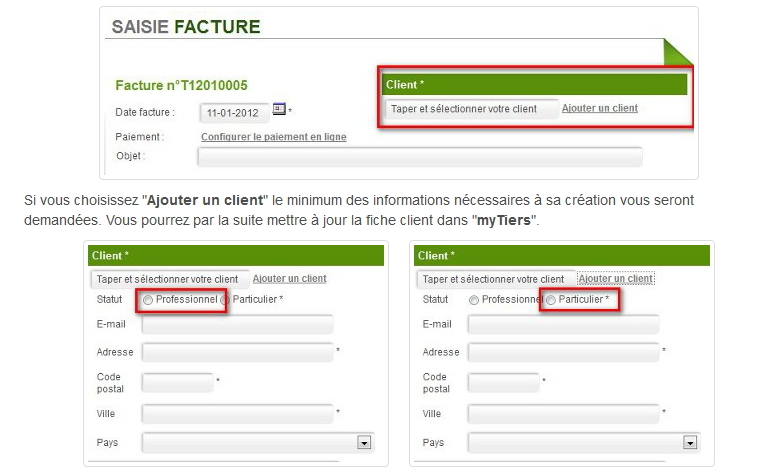 Instant-Gestion is subject to a fee but offers a 30-day trial period to verify that the software meets your needs. Solegis Pro is a tool that has two significant advantages: it adapts to your needs throughout your career as a self-employed entrepreneur and it is multi-activity. 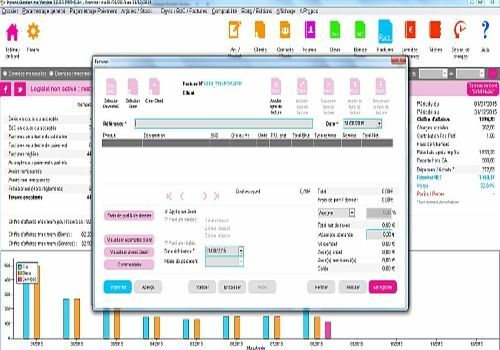 It is a very versatile program that will be very useful for creating invoices, managing orders or even creating sales statistics. Its dashboard is particularly intuitive and complete and allows you to keep an eye on important information at all times. Another significant asset is that Solegis Pro also offers one-click printing of tax certificates, which is ideal for keeping up to date with its administrative management. Here again, the software is available in a demo version for testing before purchasing. 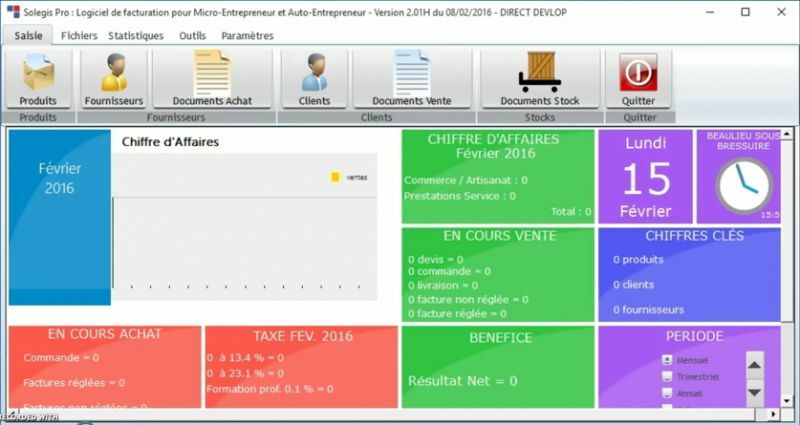 AE-Gestion is actually a different set of software, depending on your business. Indeed, the publisher offers a variety of programs to meet the needs of each auto-entrepreneur. Whether you're starting a hair salon, a small IT company or a garage, you're bound to find something to suit you. AE-Gestion has a specific goal: to simplify your life. This can be seen from the software interface and in the customization possibilities. But this does not mean that the program is light in terms of functionality, quite the contrary. It includes everything you need to manage your invoices, customers, stocks and all this in a portable version that can be used even from a USB key. myAE is an online solution, which means that everything is done from a web page. Via your account, all your personal data can be accessed from any computer. And if you need additional features, just look at the subscriptions offered by myAE. Whether you want it or not, an office suite is almost essential for any auto-entrepreneur. The only choice is whether you want to invest in Microsoft's solution or choose a free alternative like LibreOffice. 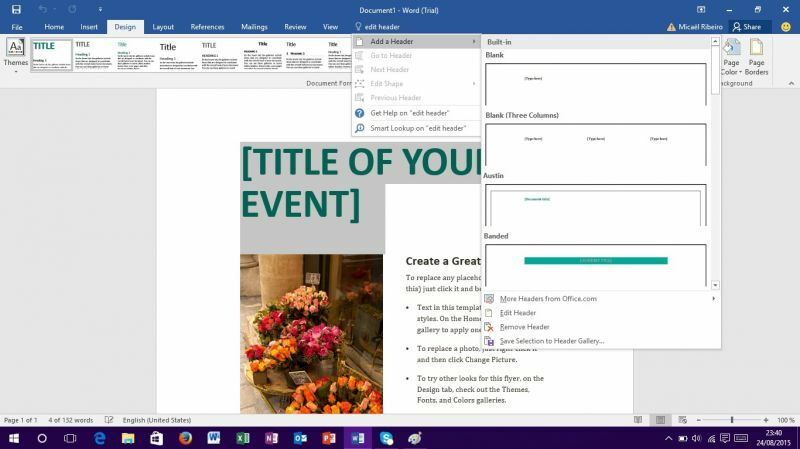 Microsoft Office has the advantage of natively integrating the other services of the Redmond firm such as Skype or OneDrive in addition to offering its word processing, table and presentation editor.